Dear all members of the Asian and Oceanian Photochemistry Association. Only four months are passing since I took the position of the president of the APA at the beginning of the year 2011, but I feel like more than one year passed. This may be because during the short period, we have been facing many worst news from our region rather than good news for our own academic and research matters. 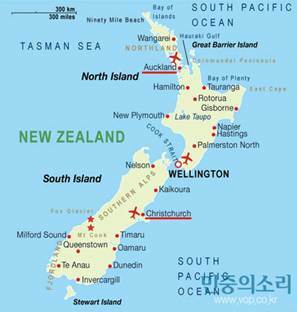 As you aware, the most dreadful news was that New Zealand and Japan were struck by a devastating earthquake and tsunami in a series from February 22 and March 11, respectively, which were recorded at 6.6 and 9.0 of seismic scale. From these disasters, more than 240 New Zealand people and 20,000 Japanese people were dead with a great number of demolished buildings and infrastructures such as industries, scientific R & D facilities and universities etc, and the two countries will have to pay tremendously high costs more than several tens or hundreds billion US dollars to be recovered. 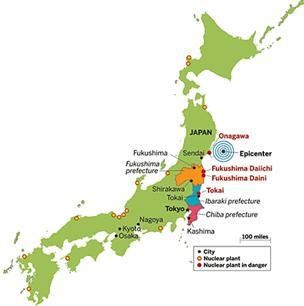 Especially, the Japanese earthquake is the fourth biggest shock in the world history, and it caused the nuclear reactor disaster in Fukushima with severity rating of level 7 which matches with that of Chernobyl, Ukraine, in 1986. Thus, many Japanese people in Northeast area of Japan are facing horror and threat of exposure to radiation leakage. Amongst the dreadful damages, a redeeming feature in the tragic affair is that universities seemed to have survived the earthquake in relatively good shape with minimum damage of research instruments and students, based on the recent message sent by Professor Hiroshi Fukumura of Tohoku University located in the center of the great earthquake, who is one of APA vice-presidents. Nevertheless, many scientists seem to be still experiencing so much difficulty with some instrumental damages and shortage of electricity for managing the science and technology universities particularly in the Tohoku and Kanto in Japan and Southern Island in New Zealand. Also the two countries are still experiencing many times of aftershocks. I pray for no more accidents to the people and the scientific facilities. Herby, I would like to use this opportunity to ask all the APA members to join me to send consolation to everyone who has been affected by the devastating disaster, particularly to the members of the Japanese Photochemistry Association, Chemical Society of Japan, and the New Zealand Chemical Society, and to each of those who have had family or friends affected by the tragedy. Also let's keep sending our sincere prayers and supports to our colleagues and their students in the damaged area. We have to consider them working as usual so that they acquire more courage in struggling to recover rapidly. With regard to the courage, Professor Fukumura's readiness to cope with the difficult situation with radiation leakage near the Tohoku University is very touching as he said "I think I will not leave Sendai unless a reactor vessel itself blows up. If we have proper knowledge, we can prepare for any incident". Now I would like to finish my consolation message by repeating his citation of Marie Curie's word, "Nothing in life to be feared, it is only to be understood. Now is the time to understand more so that we may fear less". Copyright(c) APA All rights reserved.